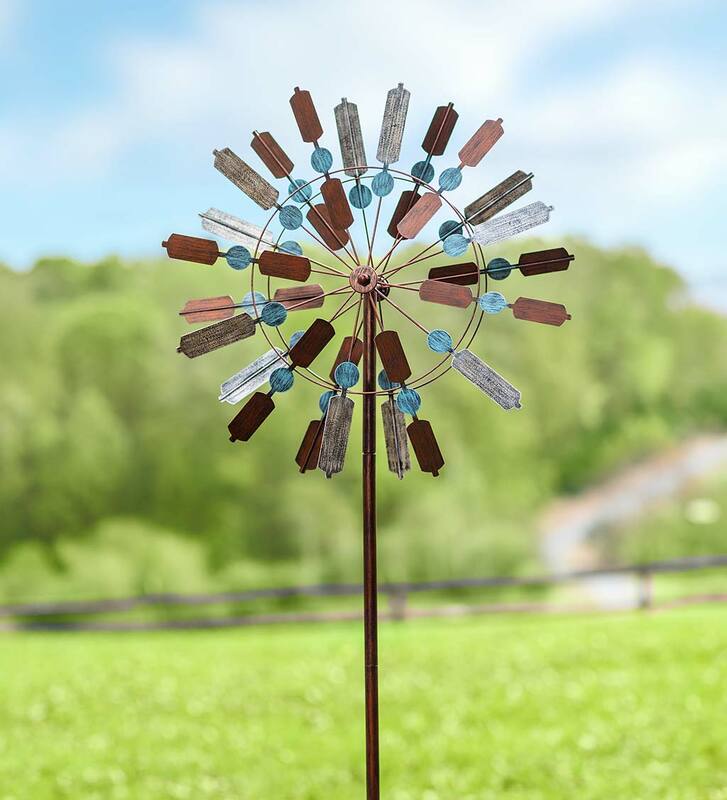 Our Tri-Color Tranquility Wind Spinner adds some shine and style to your garden. Shimmering copper and silver paddles are set off with pops of blue, all in a 6 foot tall outdoor work of art. Dual bi-directional rotors also spin on the axis for a brilliant show in your yard. Spinner is metal with a sturdy ground stake and an all-weather finish. 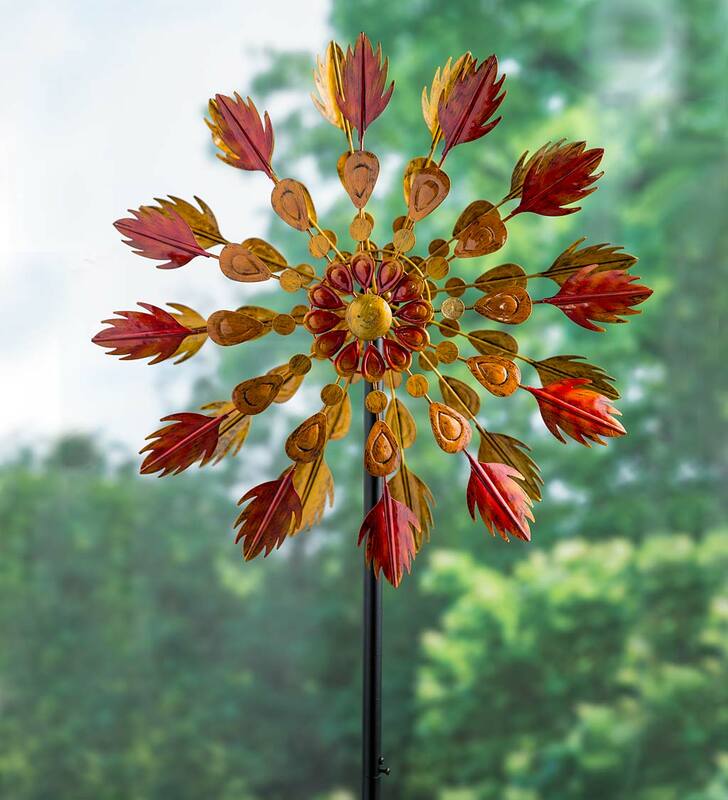 Our Double Flower Wind Spinner with Solar Ball adds new life to your landscape with its fresh style and vibrant colors. Just plant this eye-catching, artistic accent in your garden, and you'll be all set for the season. No matter what time of year it is, you'll love the motion and color this spinner brings to your yard. Loaded with details, this unique spinner features two moving flowers in bright, vivid colors that catch the breeze and rotate beautifully. Vibrant green leaves and sparkling gems give it even more pizazz. The best part? This spinner lights up after dusk thanks to the crackle glass ball with integrated solar panel. Gorgeous day and night! 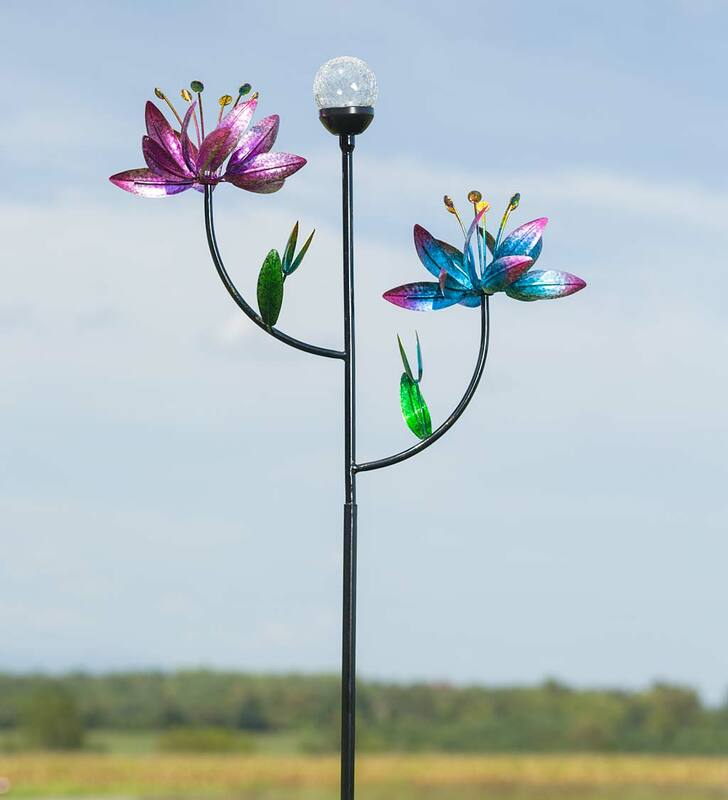 Impressive in size and its design, this statement piece will quickly become the focus of your landscape. Metal with a durable, all-weather finish.